The launch of the Asean Economic Community (AEC) in December 2015 was a milestone for Asean economic integration, which is, however, an ongoing process. The AEC includes 10 of the fastest-growing economies globally, with an average growth rate of over 5 percent in the past years, and as a group represents the seventh-largest economy globally. High GDP growth in Asean member-states, combined with a dynamic demographic and increasingly skilled work force, currently renders Asean one of the most attractive investment and trade destinations for European business. The change in investment trends seen in the past years, with many manufacturers closing down operations in China and relocating to Asean, is evidence of the increasing opportunities the region has to offer. Therefore, the integration and facilitation of intra-Asean movement of goods and people that the AEC envisions and the subsequent interconnection of 10 high-growth, high-potential markets is seen as a unique chance for business to capitalize on the opportunities that a fast-growing market of approximately 630 million people has to offer. Similarly, there is much to be gained by national economies within Asean from increased intra-Asean trade and investment, including intensified economic growth, employment generation and the creation of regional value chains. Taking into consideration that only 24 percent of trade registered by Asean member-states is currently intra-Asean, there is much scope for developing intra-Asean business and setting up regional hubs that can serve the Asean market. European Union (EU)-Asean Trade and Investment relations are already well established. Asean is the EU’s third-largest trade partner outside of Europe and the EU is Asean’s second-largest trading partner after China. Therefore, the EU business community in Europe and in the Philippines recognizes the great benefits and importance of further integrating the region and intensifying cross-border trade and investment both within Asean borders and between Asean and the EU. Taking into consideration that the Philippines will be chairing Asean in 2017, we believe it is an excellent opportunity for the Philippines to lead the way toward further Asean economic integration. While almost all products in the region are now traded tariff-free, or with a tariff in the range of 0 percent to 5 percent, nontariff barriers to trade still remain an important impediment to intra-Asean trade for many products. Therefore, it is important that nontariff barriers, especially the Rules of Origin, product standards and testing, are addressed through deeper harmonization between member-states. We strongly support the alignment of regulatory processes and the adoption of Mutual Recognition Agreements with other Asean member-states on standards and testing for key industries, such as health care, food and beverage and automotive. The cosmetics sector stands as a best practice for the harmonization of standards in the above-mentioned sectors. Specifically, Asean standards were adopted and implemented in the Philippines through the Adoption of the Association of Southeast Asian Nations Harmonized Cosmetic Regulatory Scheme and Asean Common Technical Documents” (Food and Drug Administration [FDA] Administrative Order [AO] 2005-0015) and the “Implementation of the Asean Harmonized Cosmetic Regulatory Scheme and Asean Common Technical Documents” (FDA AO 2005-0025). 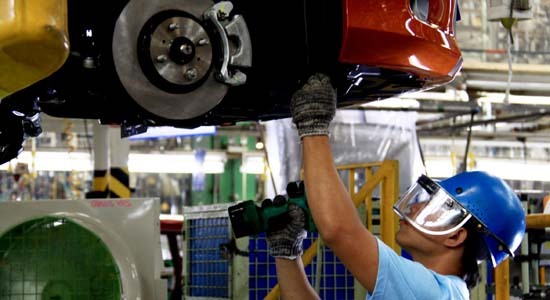 The automotive sector, including vehicles and parts, currently incurs major non-tariff barriers in the Philippines and the region, due to the lack of alignment in product standards. We strongly recommend to the Philippines to grasp the opportunity as Asean chair in 2017 to fully align national standards and the approval process to the United Nations Economic Commission for Europe (Unece) regulations (currently, while the Department of Trade and Industry-Bureau of Product Standards has harmonized certain PNS standards to Unece vehicle regulations, there remain vehicle parts for which standards have not yet been harmonized). The Philippines should lead the way for the adoption of a mutual recognition agreement in automotive standards across Asean in support of establishing common recognition of standards that are aligned to Unece standards. It is worth noting that certain Asean member-states already recognize Unece standards for automotive parts. Rapid implementation of a fully functional Asean Single Window will increase cross-border, intra-Asean trade, and ultimately contribute to economic growth and regional integration. Imperative to the Philippines’s participation in an Asean Single Window is first the establishment of a comprehensive, dynamic, online National Single Window. There are numerous operational and procedural obstacles within Customs procedures across Asean member-states that handicap intra-Asean trade. We believe that as chair of Asean, the Philippines should drive intra-Asean coordination on Customs procedures to reduce operational bottlenecks, such as the acceleration of the implementation of the Asean Customs Transit system and the adoption of electronic data interchange for customs declaration and clearance. The recent enactment of the CMTA in the Philippines includes best practices, in line with the WTO Trade Facilitation Agreement and WCO Revised Kyoto Protocol, which could be adopted across Asean in support of trade facilitation. The single market offers increased opportunities for intra-Asean trade in illicit and counterfeit goods. The institutionalization of cooperation across Asean member-states to protect IPR is thus an important element to the success of the AEC in facilitating intra-Asean trade and investment. IN addition to the benefits on trade facilitation, the mutual recognition and adoption of common standards and regulations across Asean is important for investment facilitation. The development and strengthening of regional value chains is dependent on common standards between countries. The Asean Harmonized Cosmetic Regulatory scheme should serve as a best practice. Asean member-states need to collectively address investors’ concerns by agreeing on measures in support of long-term intra-Asean investments. One option could be to build upon the agreement reached by Singapore, Malaysia and Thailand to facilitate more cross-border fund-raising, cross-border product distribution, cross-border investment and to facilitate market access by intermediaries.